Only quality packaging material has been used for the packing of the products that we offer. Moreover, the entire packaging procedure is conducted under the supervision of the experts. Located in Bhubaneswar(India), we are a high-flying name when it comes to quality-centralized and cost effective products. 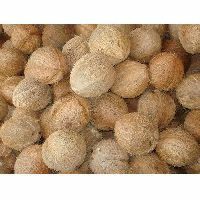 We offer semi husked coconuts, semi husked coconut, packing system bag, one bag contains 25 pcs of coconut. 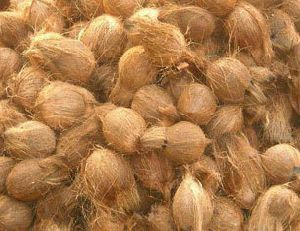 rominent Exporters and Suppliers of Fully Husked Coconut in Tamil Nadu, India. Our Fully Husked Coconut is known for its optimum quality and delicious taste. 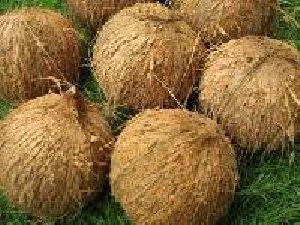 Our Husked Coconut has many medicinal properties that control weight, increases immunity level, reduces obesity, improves digestion and many more. Buyers are free to place bulk orders and we ensure its timely execution.